1. Be enthusiastic about the upcoming change. If you are excited and confident, your child will be too. 2. Prepare yourself. Take note of how your child reacts to separation. If possible, visit the new setting with your child. Introduce your child to the new teacher or early childhood professional in advance. 3. Arrange a playdate with another child from the program, preferably one-on-one, so that your child will see a familiar face when they walk in. 4. Start daily routines that will add to continuity. 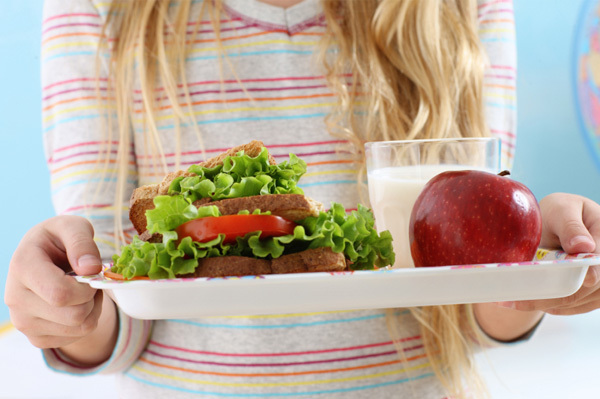 Let your child become involved with packing lunch or laying out clothes. Also, begin an earlier bedtime several weeks before. 5. Put aside extra time, particularly on the first day, for chatting and commuting together. But remember not to prolong the good-bye. If the child whines or clings, staying will only make it harder. 7. At the end of the work day, put aside your concerns and focus on being a parent. Use this checklist from the Consumer Products Safety Commission (CPSC) to find out whether the playgrounds and play structures your child uses are up to par. Be sure to consider your neighborhood public playgrounds, your own play equipment or your neighbor’s and your preschool and school playgrounds. 1. Make sure surfaces around playground equipment have at least 12 inches of wood chips, mulch, sand, or pea gravel, or are mats made of safety-tested rubber or rubber-like materials. 1. Use the Nutrition Facts label to help choose healthy foods. Select those lower in fat, sugar and sodium. 2. Limit cheese on sandwiches and choose low-fat or fat-free varieties. 4. Include at least one serving of fruit. 5. Use vegetables creatively. Garnish sandwiches with spinach, sprouts, grated carrots and tomatoes. Cut peppers or cucumbers into bite-size pieces for dipping into low-fat dressing. 6. Make sandwiches with whole grain bread rather than white bread. 7. Limit snack foods and baked goods as they may be high in fats, sugars and salt. Unbuttered popcorn and pretzels are healthy alternatives. 8. Choose 1% or fat-free milk. 9. Select 100% juice and not juice drinks. 1. Look over the cafeteria menu with your child. Ask what a typical lunch includes and which meals he or she particularly likes. 2. Recommend items that are healthier, but be willing to allow your child to buy favorite lunch items occasionally, even if that includes a hot dog. Our Growing Season Is Here. Perfect time to start planting. Order online at Seeds of Change (http://www.seedsofchange.com/) or buy at a nursery. Remember to buy organic seeds. Also buy the book “Gardening in Florida.” It is a month by month breakdown of how to garden. We are just starting our growing season. This book will tell you what is ready to grow now. Tomatoes, broccoli, fennel, watermelon, corn, peas, beans, peppers, eggplant, carrots. In a few months you can plant lettuce, kale, spinach. While at the nursery – buy vermiculite, peat moss and compost – as your soil. Equal parts of each. Decide about location too. Raised bed, pots, earth boxes, row garden. I like earth boxes and raised beds. A simple way is to mix the soil, put back in the plastic bag, drop the bag where you want a garden, split the bag lengthwise and you have a plastic bag pot for gardening. Remember, your first year is hit and miss. 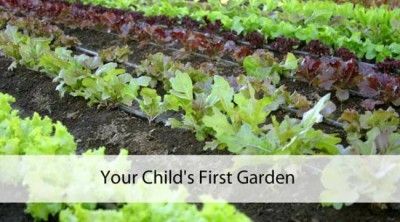 Give each child a few seeds, some soil and get them started. Once they see the plant bloom, they will be hooked. Buy Animal, Vegetable, Miracle by Barbara Kingsolver for more info and a great read. 1. In a small bowl, put one drop each of the following essential oils: cinnamon, clove, rosemary and eucalyptus. 2. Add five drops of lemon essential oil. Mix in 1 ounce of water and 1/2 teaspoon aloe vera gel (available at pharmacies and health food stores). 3. Store in an airtight container or a small travel-size bottle. Note: Essential oils can be purchased online or at health food stores.